Wondering about how to start selling on eBay? Already selling your products through WooCommerce based store? Want to escape the hassles of listing multiple products manually? Great! 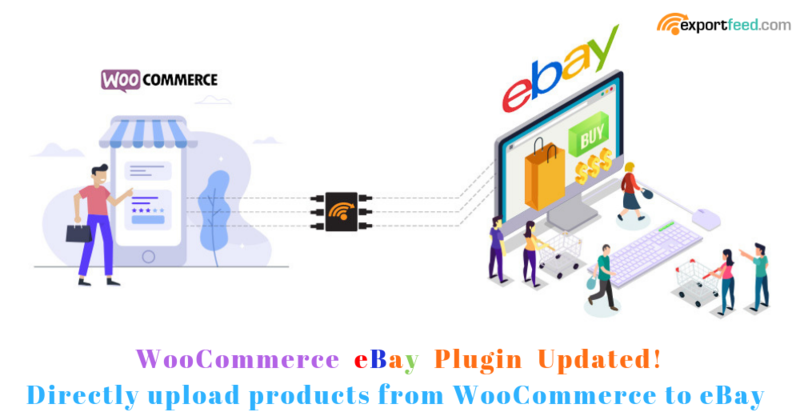 We’ve just updated our WooCommerce eBay plugin to help you sell your WooCommerce based products on eBay marketplaces. 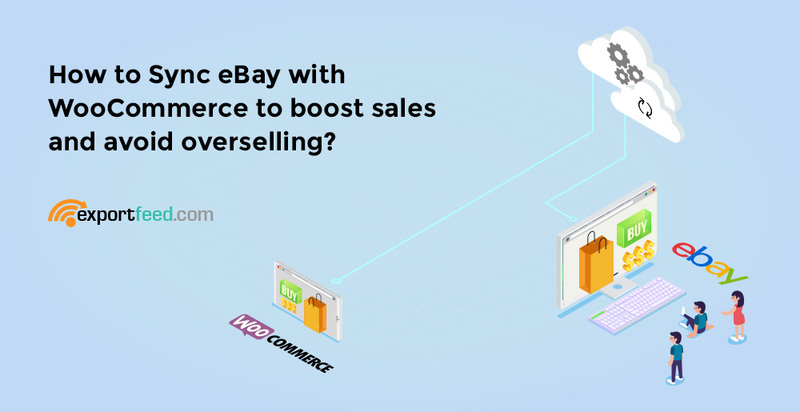 How to Sync eBay with WooCommerce to boost sales and avoid overselling? eBay is a well-renowned marketplace and the ability to list your WooCommerce products on eBay pays off well. However, you also need to maintain the inventory values between your WooCommerce and eBay stores. So, it is important that you use the right tools to sync eBay with WooCommerce. Here are some of the other reasons why you should always aim to maintain synchronization between your eBay and WooCommerce store. 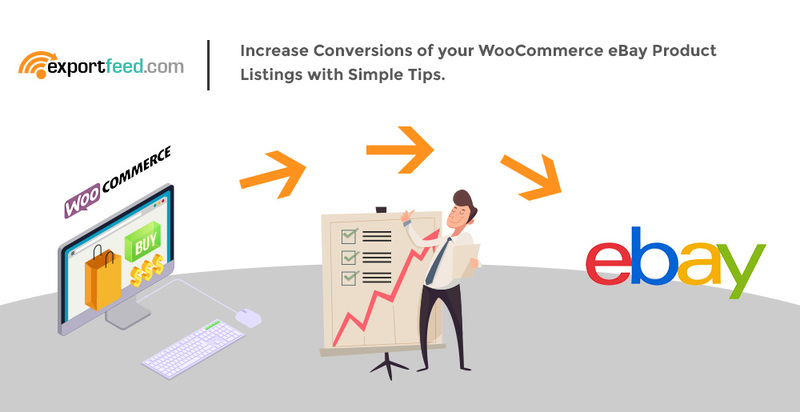 How to increase conversions of your WooCommerce eBay Product Listings following simple tips? If you own an e-commerce store, you may be missing out a big share of profit if you haven’t listed your products on eBay. For professionals, it is well known that exporting data feeds using ExportFeed is the easiest way. But for starters, it may be something overwhelming. An updated version of the ExportFeed plugin with automatic upload to eBay is released. Now you can easily list your WooCommerce product on eBay with the help of ExportFeed! You just need to connect your eBay account then upload feed to eBay. Sell your products from WooCommerce to Ebay!